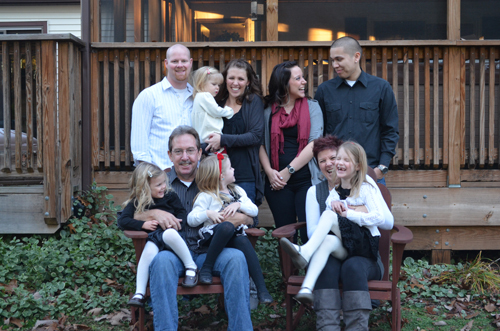 I love my family…not just my husband and four girls, but our extended family as well! And I’m especially thankful for my parents and sister (and her boyfriend, who has been around long enough to be a member of the family just the same!). We have SO much fun together. Someone’s always laughing. The boys spend hours talking Redskins or motorcycles or RC planes. And there’s usually plenty of good food and coffee involved too! With 9 years between us, it might seem strange that my sister is one of my best friends, but she is…and I won’t count the years between us, but my mom is one of them too. I’m lucky to have them! P.S. Just 22 days until Christmas — woah! Here are some of my favorite posts from this week. I ignored my feed reader for most of the week, so this morning I went through more than 600 posts! You can see the rest of my favorites in the Life Your Way Tumblr. Don’t forget to enter to WIN in this year’s Grateful Giveaways — 14 fun giveaways for the whole family!